Dr. Alice Flaherty answers these questions and more as she investigates the mysteries of the writer’s mind. 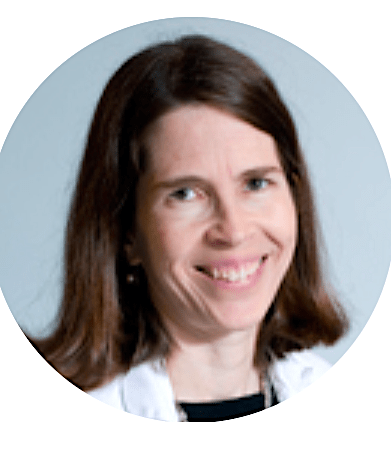 Both a medical doctor (MD from Harvard Medical School) and a PhD from MIT, Flaherty explores what underlies the ability and desire to write. In her book Midnight Disease the author merges brain science with her lively literary voice. Her subtitle, “The Drive to Write, Writer’s Block and the Creative Brain” illuminates how mind and body connect in human creativity. (All examples below are from her book unless otherwise noted.) Brace yourself for some humor! Shaw may or may not have done his writing in pajamas, but one thing for sure, he was probably not wearing a suit and tie. 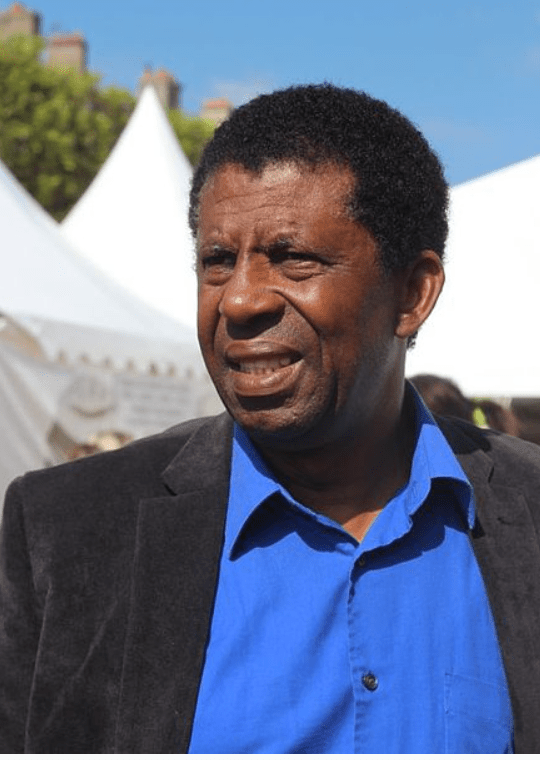 Haitian-Canadian novelist and poet, Dany LaFerriere writes in French. His book Journal d’un ecrivain en pyjama attests to the fact that he writes in pajamas. I sit down with hot tea, stand up, warm up tea cup, write some more, add lemon slice, find lavender candle for concentration; light it; write some more; wonder whether mailman has come, red flag on mailbox would tell me; jump up, bring in mail, don’t open in, sit on writing chair for more minutes (insert wee groan); faint pulse from Fitbit on my wrist reminds me to walk. Despite brief distractions, I manage to write for almost two hours. Thus, I write by fits and starts, allowing for my own humanity. Otherwise, I could wail, “I can’t concentrate. But then I would give up. I won’t do that! Hypergraphia: An excessive desire to write, a description I associate with Joyce Carol Oates, Stephen King and others who admit to constant writing. 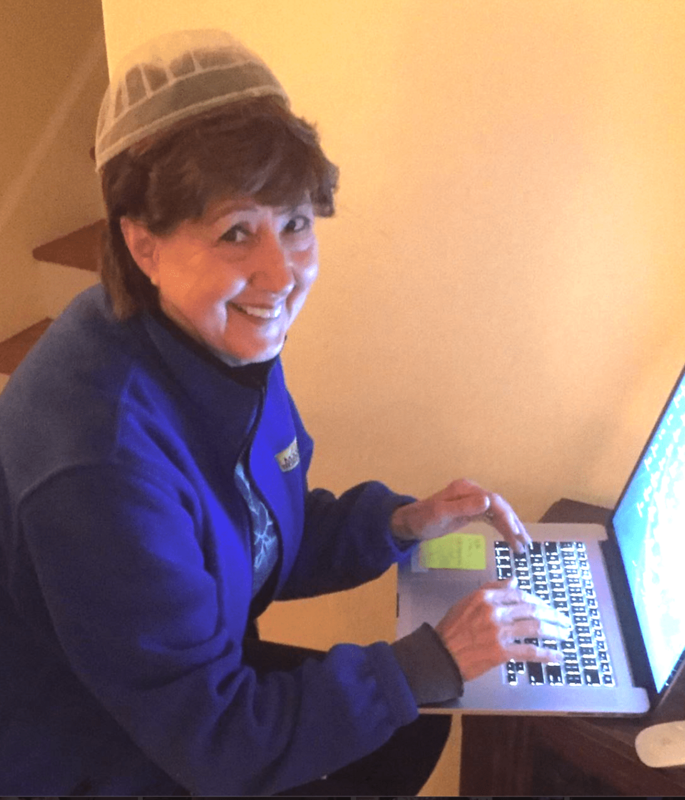 Do you write in pajamas? What are your writing props? ~ a candle, music, complete silence, the ambiance of a certain room, a coffee shop or restaurant? The company of a pet? Please add any other authors to the list of quirky writers you know about. Maybe it’s you! What an adorable photo of you, Marian! So many great quotes in this post. Although I don’t write in my pajamas, I do listen to music when I get stuck in my story…and lots of Hibiscus tea! Brain science shows that music shifts brain activity from the left to the right, freeing the creative mind. Whatever works, keep doing it, I say. Here’s to music and brilliant writing. Thanks for your tip and for beginning our conversation today, Jill! Good morning, Marian! I’m wearing my pajamas now. : ) You’ve actually seen me write in my pajamas at Chincoteague. I write in my kitchen with the cats around. I have coffee in the morning, but I often drink cups of tea in the afternoon. If I’m really writing, then I like silence. I don’t like music on because I listen to it instead, but if I get up to do something else, I often turn on NPR. Yes, I do know your habits, which seem to work admirably for you. I guess coffee provides high octance in the morning and tea in the afternoon when you refine and edit. That may be a stretch, but it’s what came to mind reading a “slice” of your day. I too listen to NPR in the car, seldom at home. Thanks, Merril! A wealth of great quotes here, Marian. I too like a hot cup of tea nearby as I prep to get into my writing. I can often measure how well I’m doing by how much of it goes cold because I’ve forgotten about it. 🙂 Writing is how I understand. How I make order from the chaos in my head. I currently have three journals going and two WIP on my computer. Lots of chaos whirling about. All good. I smiled when I read “I can often measure how well I’m doing by how much of it goes cold because I’ve forgotten about it.” This seldom happens to me, but when it does, I know I’m in the zone. Somewhere recently I read that order and chaos are two sides of the same coin. When I go to the gym I see a Deepak Chopra quote painted on the window: “All great change begins with chaos.” Somehow that relates to exercise – ha! I’m writing these words while wearing the spa robe I won in an airline contest about 20 years ago. I love lounging as long as possible in the morning. I also play the same kinds of concentration games others have described when I have a writing deadline. It may be helpful to know that procrastination and creativity are connected. The brain stays open longer to new ideas and connections. Of course I chuckled at the “wise” crack about the prayer covering, Shirley. I don’t usually wear it when writing but have thought of it as a prop when I promote my memoir. Several readers have commented about your mentioning the benefit of procrastination. Thank you! I do know that had I written my memoir 2-3 years ago, I would not have yet been privy to an interview in my sister’s sociology notebook which has shed so much light on my past. I scribble notes, particularly when I’m cooking, and promptly lose them. I have wonderful ideas when driving or half asleep, and I can’t write them down. I think I’ve shared my best work with only one critic…me! The fact that you scribble notes on the run fastens them in some fashion in your mind in some fashion. I can relate to this when I go to the grocery store without my list or visit the doctor having forgotten the little tablet with questions. Your posts are wonderful, and I love your quotes – so much so that I’m borrowing a few when a “Spring” post comes out later this month. “Imitation is the sincerest form of flattery,” so said Charles Caleb Colton. (Had to look it up.) Thanks, Jenn! Great post and quotes thank you Marian! When I get up in the morning I get dressed. It may take me a while to brush my teeth, but eventually I do (especially of I have to go out). Like you, and some others here, I prefer silence when writing. I wonder if that preference registers as resistance to all the “noise” in the world these days. Thanks for checking in today with your take on the topic, Susan! I’m easily distracted, and need to have a set place to write anything serious. Coffeeshops offer me a place to sit and write, without the need to interact with others [being an introvert, this is important!]. Ironically, the hubbub of the surroundings help me focus, At home, silence is best. Ginger, you are like my artist husband, also an introvert. He thrives with ambient noise in a restaurant because he doesn’t have to interact with others. I write at home almost exclusively. And in silence mostly. Thanks, Ginger! I love TS Eliot’s excuse or reason best. I am. not a professional writer, but even as a young girl I liked to keep a diary and even wrote some poems: don’t ask me where they’ve gone… When we started long distance walking (long hikes of abut a week and sleeping in a small tent), Peter and I both made entries on the diary and even when we started motorhoming, we used to take turns, but eventually I took over. I write because I like to keep a record of all the wonderful places we’ve seen (otherwise I would forget) and I blog because I like to share it with my friends and family and now with total strangers who have become friends over the years, such as yourself. Sending lots of inspiration your way. Keep up the excellent work. Your diaries and blog posts are leaving footprints of time and place in your mobile world. I am happy that I was one of those strangers who has become a friend all because we have reached out in the cyber world. Write on, friend Fatima! I LOVE this, Marian. I myself can’t write in pajamas. It means I’m not serious about it. I have to be showered and dressed before I do anything, except go for a walk. I need silence for writing, but otherwise music is very important to my state of mind. I do a lot of staring at the screen, and think about what I might be doing if I weren’t sitting here being a crazy writer. My regimen is much like yours. Sometimes I wear my robe Wedneday morning when I have to launch a post via MailerLite, but otherwise I have to be dressed for the day. You are recovering from memoir writing as I’m in the midst of it, the developmental editing phase. Just now I remembered George Orwell’s words: Writing a book is a long, exhausting struggle, like a long bout of some painful illness. One would never undertake such a thing if one were not driven by some demon one can neither resist nor understand. Someday I will have a Me day as you describe on this week’s post. Lovely! I wonder what you did with your Me Day this week . . . Still, I would be truly bored if every day dishes, laundry, and lunch with friends were the only items on my agenda. Marian — A tealight that burns 4-6 hours is my main writing prop. That, and lots and lots of nothing (space, no clutter). While at my desk I also alternate approx. every 30-minutes between sitting and standing (I have one of those VariDesks: https://www.varidesk.com/products/small-standing-desk-laptop-30#). That photo of you is adorable! I have heard about the VariDesk; in fact, I think I have a photo of one in my WP media gallery. So I can picture it. The Fitbit on my wrist pulses when I need to change positions or become physically active, but standing at a your VariDesk would a more efficient way to stay on task. I’m glad you enjoyed this post and the quirky photo. Thanks, Laurie. 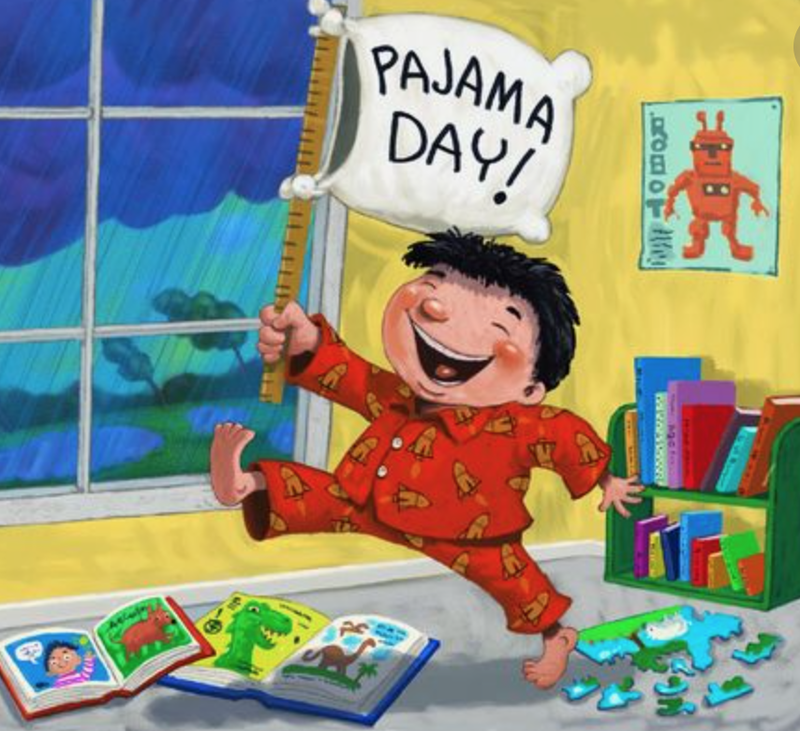 Yes, I write in my pajamas and from the comfort of my bed every morning! I have come to believe that there us something akin to muscle memory for writers in that place matters. Words often flow with relative ease from my morning nest and yet become elusive when I settle into the writing chair in my woman cave. I’m working on changing that. Linda, I like how you work your writing habits into the posts themselves. I will never forget the fact that coffee is delivered to your bedside by your bestie. What a writing life! Morning nest or woman cave – your impressions are memorable – photos and text. Thank you! I am familiar with these tactics and love reading about them all in this post. I haven’t tried wearing my covering yet, but I think it could help. So, you have a covering stashed away too, Dolores. Or, perhaps you wear it to church. I’m curious. I don’t know whether I donned my covering when we took Ben Vogt’s course, but it may have helped. Ha! And I must put Flaherty’s book on my list! Sounds great–and helpful. Thank you for mentioning Shawn Smucker, Melodie. I hadn’t heard of him. Yes, I agree: Writing and reading go hand in hand. One feeds the other. I imagine you have 2-3 books on your night stand as I do. Flaherty’s book has a very scientific slant, as you can imagine, coming from the world of medicine. You would enjoy her point of view, I think. I was tickled by your grandson’s need for expression as he works on math. My grandson does his best thinking, he says, when “flouncing.” That means skipping around with arms flailing. Everybody has a different learning style. I say, whatever works, that’s the ticket. I’m glad you enjoyed the post and the picture. Thank you, Marian, this was one of your best blog posts! I laughed so hard when I read how Charles Dickens was acting when he was frustrated while writing (or possibly experiencing writer’s block). I’m constantly thinking about what I want to write and doing it in my head but not getting it down on paper. I do have lots of diaries and I keep a notebook in my purse at all times. I’m always writing things down. I have travel journals and take copious notes when on a trip. I love writing my blog, that is the only time I write from the heart for others to read, not just for myself. I’ve also done lots of book reviews. My clock is ticking and I don’t have that many years left any more, that is why I am pressured to write my memoir, as I have had so many rich life experiences. At heart, both of us are teachers/writers. And we are leaving a legacy to family and perhaps to people who have not met. Yes, you have many rich life experiences which beg to be shared beyond your blog. But I understand about the ticking clock, Elfrieda. Like you, I have a “7” as the first number in my age. I also recognize that a good manuscript takes time even though right now I seem to be moving at a turtle’s pace. “All in good time,” I say. Your laptop and my laptop look very similar! Like Dickens, I get up and prowl around when writing. I loved Little Dorrit, so I can appreciate all of the mileage he achieved while writing. I keep a journal, which helps me to discuss my frustrations when blocked. I’m one of those people who have to have quiet when I write. I don’t work well in coffee shops. You must have a MacBook Pro, Marie, if it’s like mine. Thank you for giving us a snapshot of your writing habits. I think pacing while writing must be a good thing: The locomotion apparently stimulates the gears and wheels in the brain. And I think the votes from other writers’ comments here are tilting in favor of silence, or at most, music. Great post. I will often write in my pajamas. My best time to write is when I get up before hubby and the dog or after they have gone to bed. I like it to be quiet with little or no distractions. I will also write while we are in the car or on an airplane. I do grab writing time whenever I can. I couldn’t possibly write in a car or on an airplane though I do gather ideas, especially for blogposts, on the go. Thanks for sharing your modus operandi here, Darlene. What an entertaining and enlightening post, and sweet picture of you writing/typing. It’s fun to read all of the responses you received. No, I don’t/can’t write in my pajamas. I’d be too relaxed, and I don’t like to be TOO relaxed when I get into my writing mode. I can write a lot – if the day is free, I can spend hours and forget about breakfast and lunch. But most times, I’m like you – cups of tea, walking around, moaning a bit maybe, checking on the laundry, back to my office nook where I have beautiful light come into the room, classical music coaxing my creativity. It’s not an easy day, but it’s a wonderful day – a day that I write. Like you, I don’t write in a sartorially relaxed state, but I must have my food. These days breakfast and meditation come before writing of any kind. Light and music, nice combo, Pamela. Late in the day or when I edit, I invite music into my world, light classical usually. What a delightful post, Marian. Love the quotes and the picture of you in writer-mode! Hot tea, lit candle, background music (sometimes not) and solitude are my tickets to a productive writing session. The challenge is getting through all the distractions—laundry, groceries, cleaning, etc— to get to my writing space. And yes, I love to lounge around a bit in my pjs before starting my day! I think of laundry, shopping, and cooking as distractions too, but maybe I should view them as ingredients of a balanced life. Still, wouldn’t it be nice to have a maid 1-2 days a week? A great post! Love that shot of you. I sometimes write in my dressing gown – but as I walk the dogs three times a day, I’m usually dressed. I work from home a lot (my job is a scriptwriter), so I’m pretty good at being focused and not getting distracted. So you have at least two creative outlets. The one I didn’t know about is screenwriting. I’d add another one too: poet. Your photos are adorned with poetic lyricism. Thanks for adding your spice to this space, Fiona! No, don’t give up. Such great quotes, Marian. In a few days I’m off on a desert journey and two weeks with little or no internet or social media. I haven’t planned to stop writing, but that’s a possibility and it may be the best medicine for me right now. I’ll let the inner writer decide. I want to return to my big project soon (theoretically), but feel anything could happen or not happen in my writing future. I have two articles with early April deadlines and a second with a May 1 deadline, so I’ll rally for those. I write in comfortable clothes like sweat pants and a fleece sweater. My distraction this time of year is tending the wood stove and a dog who wants to go in and out, in and out. When the weather is nice, I find myself wandering outside and pulling a few weeds. I usually have a small thermos of green tea at my side and a statue of Ganesh (Hindu God of Writers and Remover of Obstacles) nearby. Whoop-De-Doo. The desert is just the tonic for you! Having Willow (?) to beg for walks functions much like the wrist buzz from my Fitbit. Gets me up out of the writing chair and clears the air in my fretful mind. When my sister first arrived from PA she just read, slept, and watched the ducks glide on the lake. Safe travels, Elaine. Take deep breaths and just BE. It’s okay! No props, either, just something to drink (water or green tea) and silence, please! I love writing, but my main distractions are the dogs lying at my feet or putting their heads on my lap, nice weather that makes me feel guilty to sit behind the computer all day, and lunch time. I don’t get up much during writing session and, more often than not, have to drink my cup of tea cold by the time I remember it is standing next to my mouse. Your “recipe” of comfortable clothes, green tea, and doggies close by sounds a lot like Elaine’s comment above. I can tell you are in the zone if your cuppa tea turns cold.